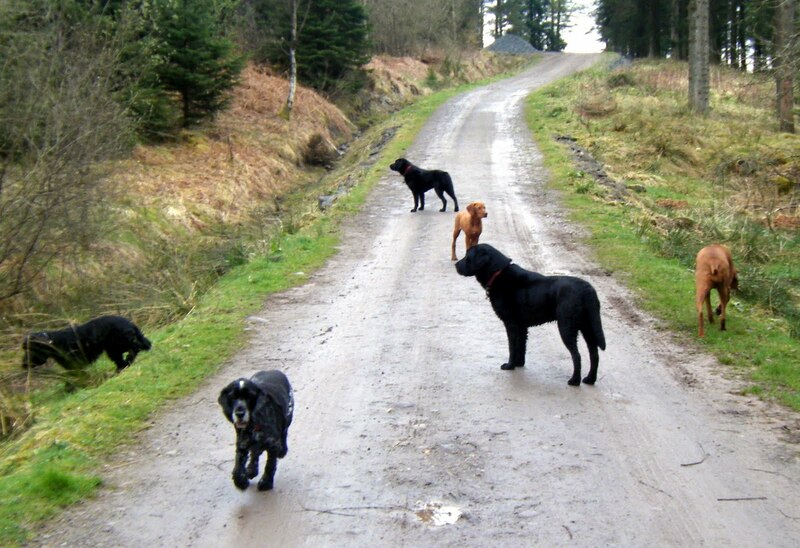 A lovely walk through the forest at Drymen, with a great balanced pack of dogs that all get on so well. Laddie and Meg, the black labs always enjoy their walk, and are just the most balanced dogs – lovely! The Vizslak are always a pleasure, though Boris is growing so rapidly it is hard to tell now which one is Ivy and which is Boris, and last but definitely not least is Murphy – such a friendly dog. His tail doesn’t stop wagging from when I pick him up, until I drop him off – I can even hear it banging off the side in the van! !